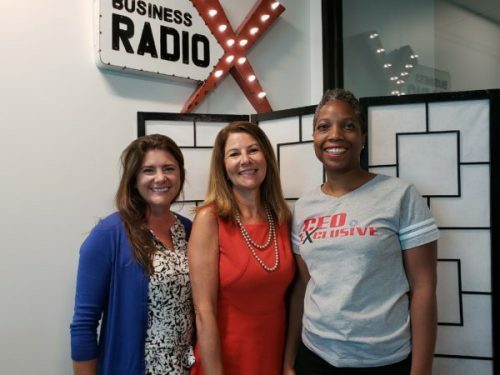 On this CEO Exclusive we welcome guests Joan Guillory and Jennifer Mitchell with GSquared Group to discuss what’s happening in the IT industry and what mid-market CEOs need to be watching out for. GSquared Group is a woman-owned boutique technology services company in the Atlanta area. Founded in 2010, they are a premier provider of IT talent search, management consulting, and software development services. Beginning her 25 years in the technology consulting services field in 1993 – Joan Guillory decided to go out on her own, launching GSquared Group as a boutique IT Staffing, Recruiting and Management Consulting company in July 2010. Joan’s primary expertise and talent has been around growing and managing client relationships at all levels. She considers herself a “connector” and has been creating connections in the Atlanta area since her arrival. Those connections, combined with her intense sense of loyalty and integrity, created the foundation for GSquared Group as the local Technical Recruiting and Staffing firm it is today. GSquared Group is now a thriving business in the Technology Services industry and Joan considers her entire team as her family; but it is truly a family business as both of her daughters chose to work for GSquared Group. GSquared Group is a certified Woman Owned Entity and has been the recipient of the INC 5000 Fastest Growing Privately Held Companies award and was also recognized as a 2016 Business of Excellence by the City of Alpharetta. Jennifer Mitchell is the Managing Partner for GSquared Group. She holds a Business Administration degree from the University of Georgia and has an extensive background in sales, marketing, recruiting and business development. She has a passion for nurturing IT talent and when she’s not in the office enjoys entertaining friends and family and spending time with her two young boys. Connect with Jennifer on LinkedIn. Follow GSquared Group on LinkedIn, Twitter & Facebook. Filed under: Blog, Candidates, Clients, GSquared. Tagged with: Alpharetta Jobs, Atlanta Jobs, Atlanta Radio Show, GSquared Group, Information Technology, IT Recruiter, IT Recruiting, ITStaffing, Technology Trends.